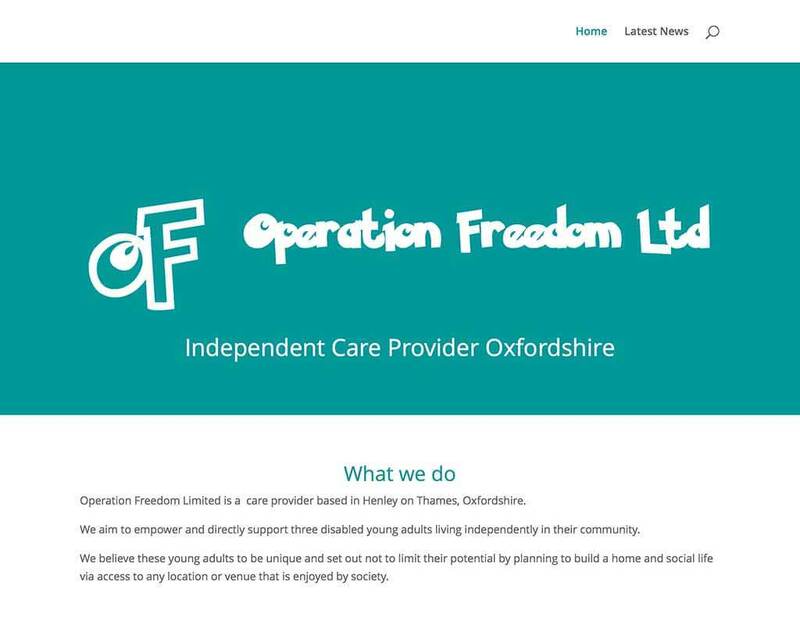 We are delighted to be working on a new website design for Operation Freedom an independent care provider in Oxfordshire. The new website will carry all the latest news and updates for this exiting new venture. The new web design was created via WordPress using the organisations colour and font schemes. Using WordPress allows the staff to regularly update their site with all that is going on in Operation Freedom.